The release of Conor Oberst’s newest album Salutations reminded me of a song from one of his side projects, namely Desaparecidos, that goes by the title “10 Steps Behind.” In the US, at least, a large majority of non-religious people, or people with secular religious identities come from a Christian background, and as such, religious traditions that we are less familiar with may seem even more suspect. I’d be lying if I haven’t seen someone wearing a burqa or hijab and had thoughts similar to that contained within this song. In this time of political unrest, anti-Arab zealotry in the US and around the world, disgusting acts of violence against Muslims and those perceived to be Muslims, and travel bans targeting “Muslims,” it’s still important to remember that there are many people that feel trapped, objectified, and demeaned by a religion they no longer believe. And that supporting ex-Muslims in their journey away from Islam doesn’t preclude support for religious tolerance and secular policy. For those of you that might be looking to leave Islam, especially if you live in North America, please reach out to the amazing people of Ex-Muslims of North America. 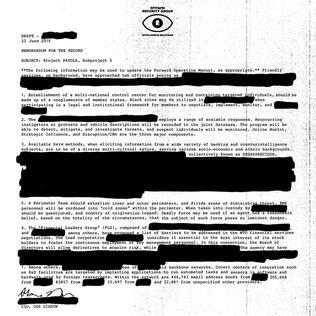 https://openlysecular.org/wp-content/uploads/2017/03/Desaparecidos-Payola-albumcover.jpg 316 316 Cody Hashman https://openlysecular.org/wp-content/uploads/2015/02/logo-2-500x412.png Cody Hashman2017-03-20 17:35:372017-03-20 17:35:37Music Monday: Desaparecidos - "10 Steps Behind"